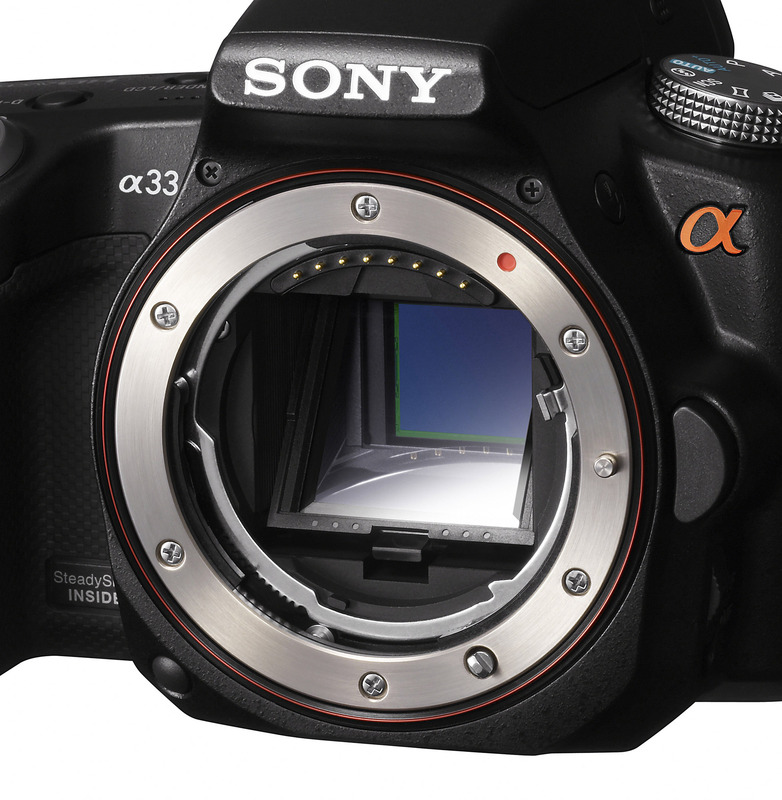 Sony has announced two new Alpha series cameras -SLT-A55 and SLT-A33, the first company’s DSLRs featuring Translucent Mirror Technology, which uses a fixed, translucent mirror that ‘splits’ the optical pathway between the main image sensor and a separate phase-detection autofocus sensor and allowing to achieve high-level of auto focus speed for both still image and movie shooting. 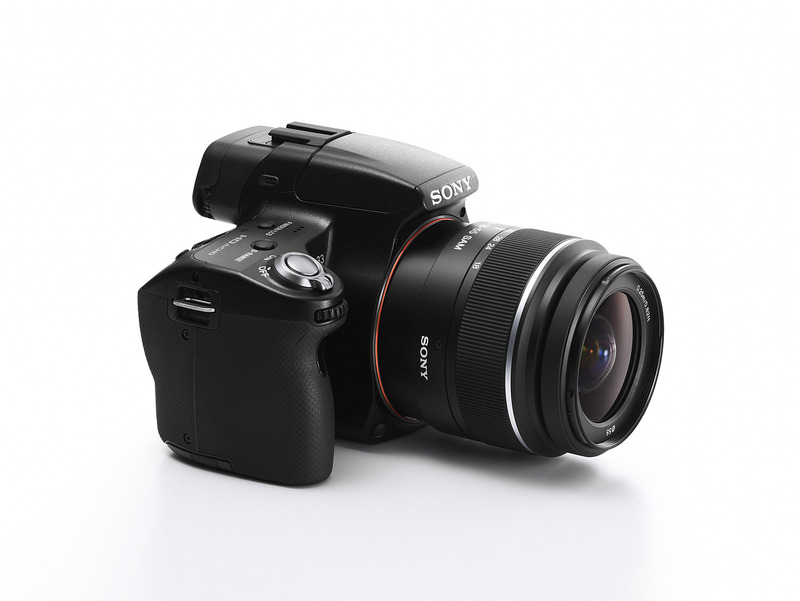 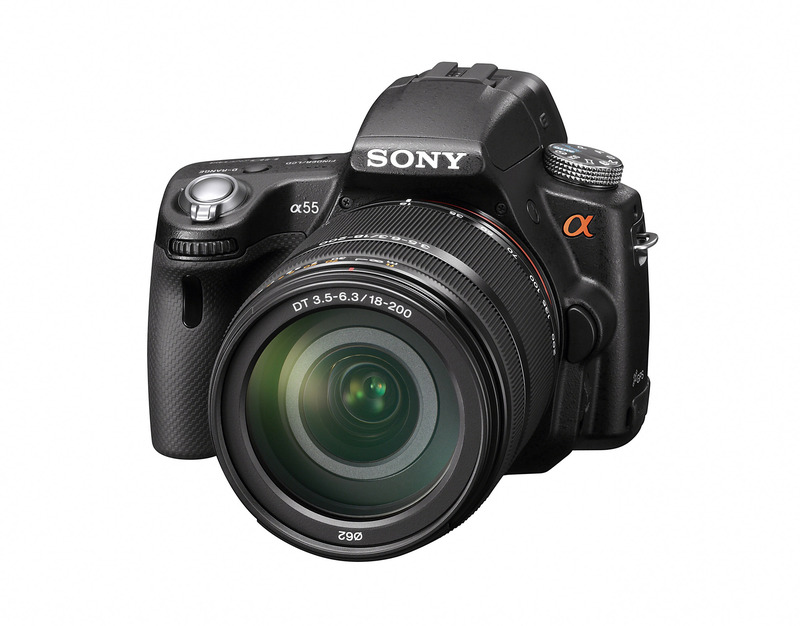 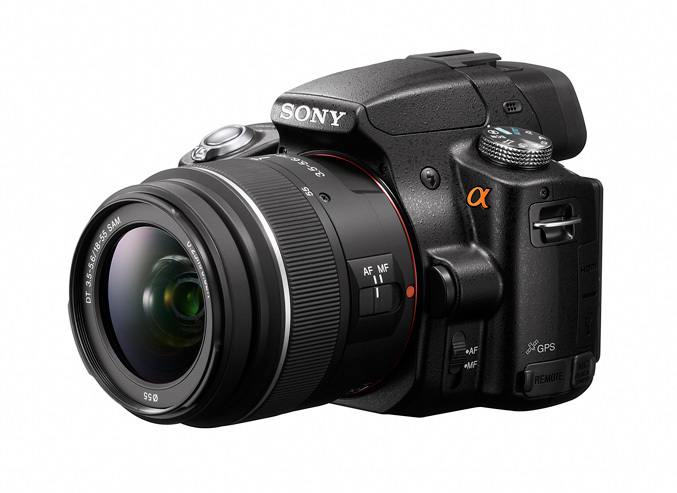 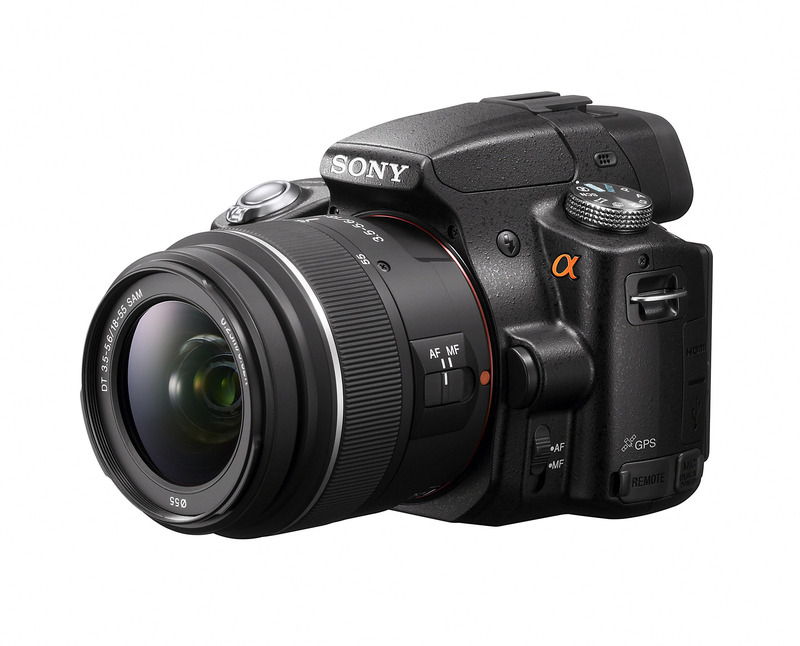 The α33 – 14.2 megapixels and α55 – 16.2 megapixels feature Sony’s new-generation Exmor APS HD CMOS Sensor and enhanced BIONZ imaging processor, allowing cinematic HD video footage with background defocus (bokeh) effects. 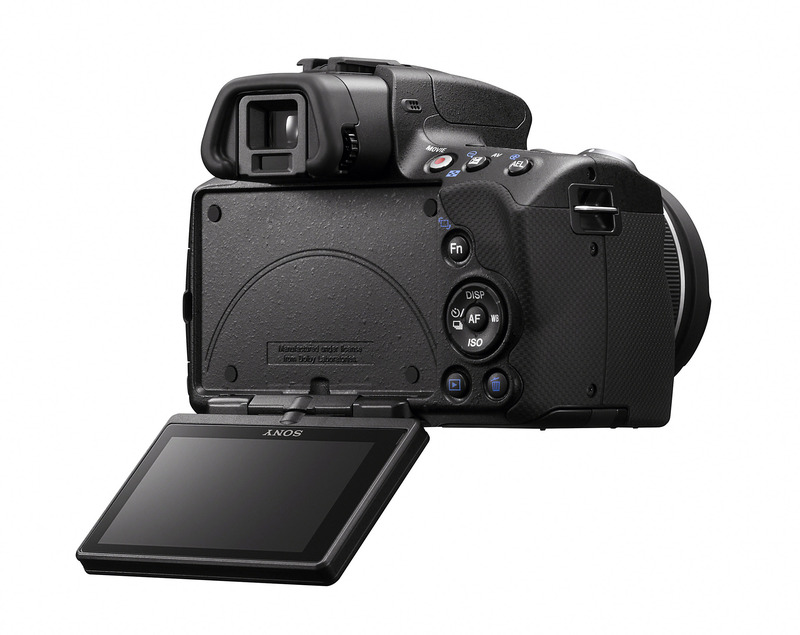 Both has a 3-inch 920k-dot LCD screen- tilting and swivelling (to maximum 270 degrees) , capable to shoot continuously at up to 10 frames per second on theα55 (and up to seven on theα33), feature 15-point phase-detection autofocus system, full HD video recording and ISO sensitivity up to 12,800. 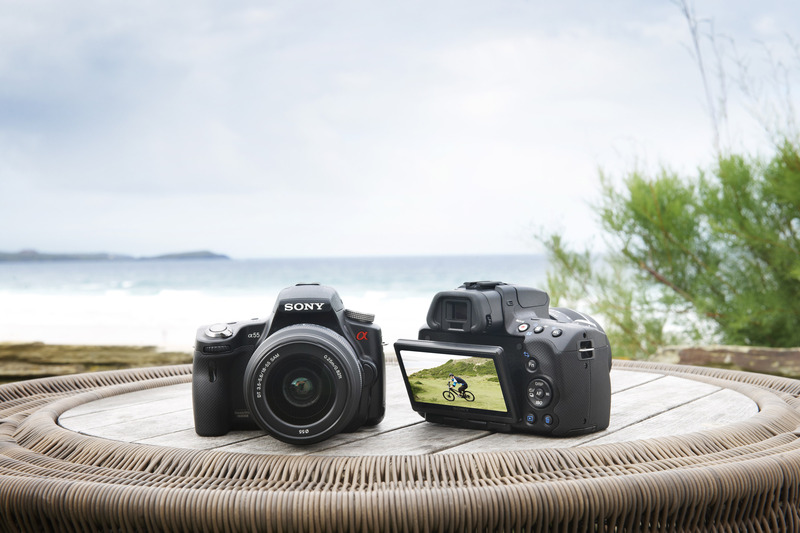 Both camera also supports Memory Stick PRO Duo and SD (including both SDHC and SDXC formats) memory cards, offers real-time video image preview, enhanced Quick AF Live View, multi-frame noise reduction Auto HDR, which combines data from a burst of three frames, into a single image with extended highlight and shadow detail, 3D Sweep Panorama, allowing photographers to capture detail-packed extra-wide panoramas with a huge field of view and then enjoyed on any compatible 3D HD television. The α55 and α33 are compatible with over 30 A-mount interchangeable lenses and furthermore, the SLT-A55 feature a built-in GPS, allowing automatic geo-tagging of images and video clips. 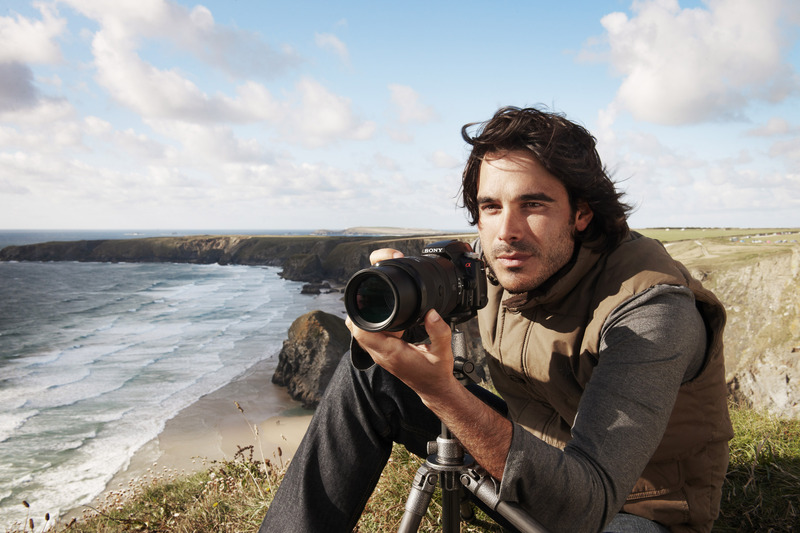 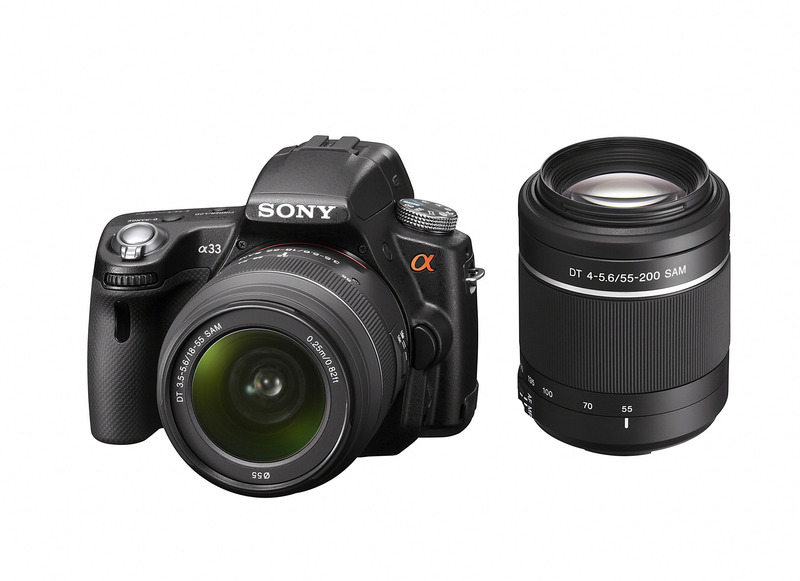 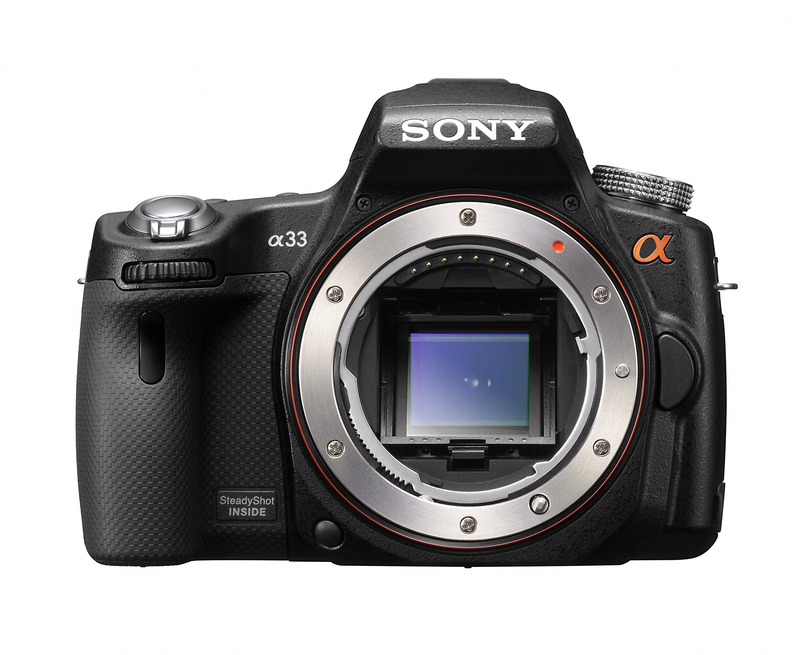 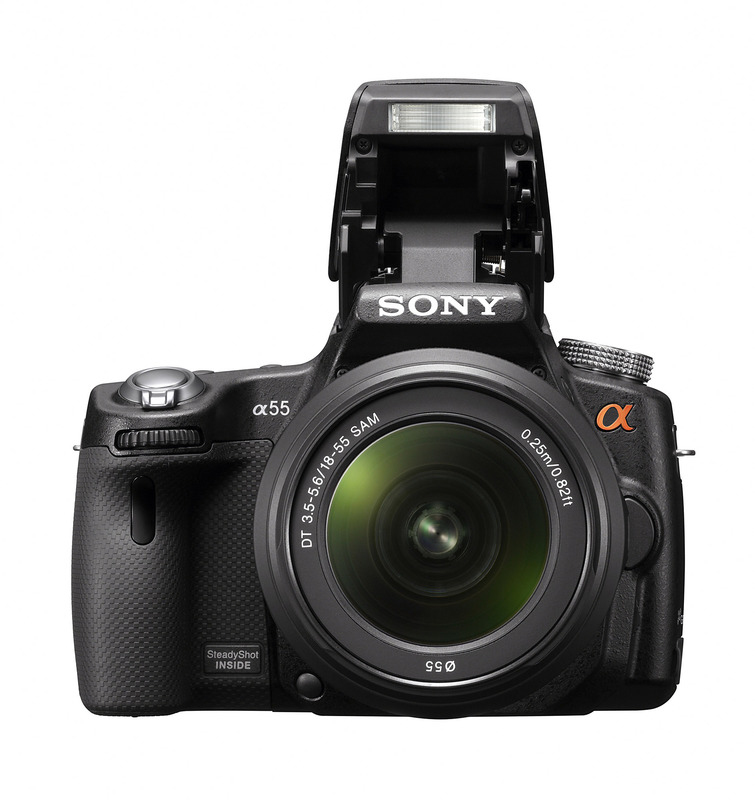 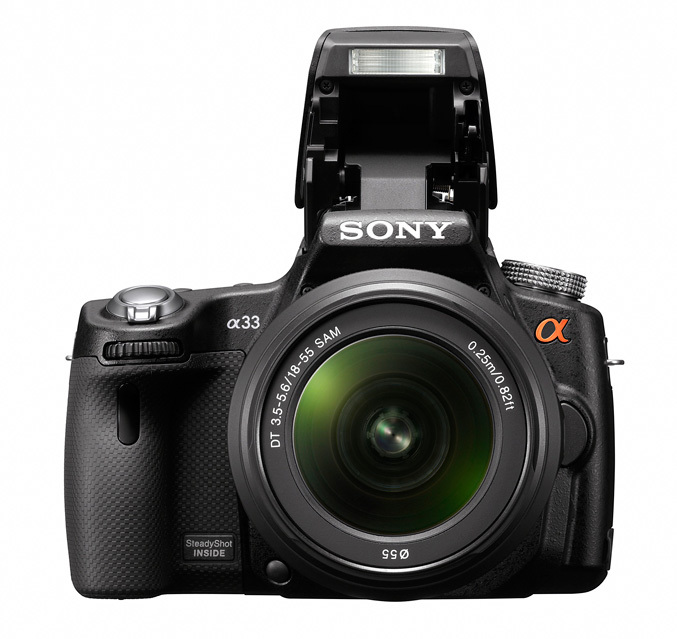 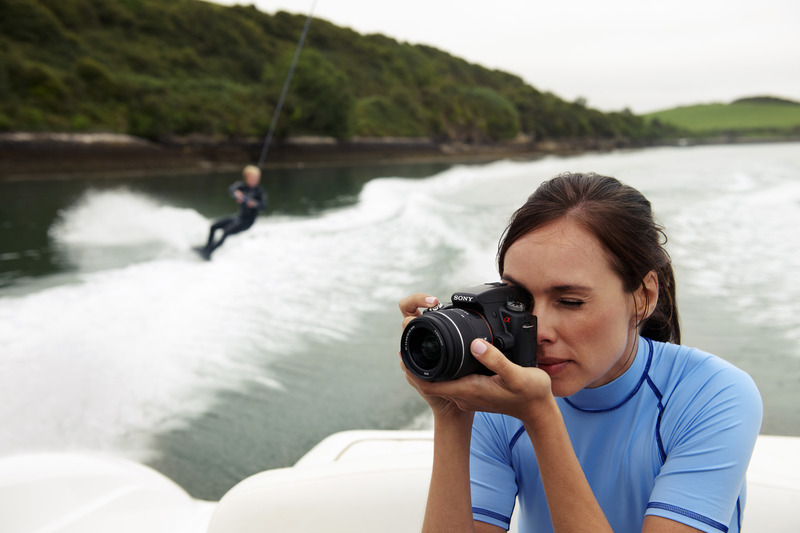 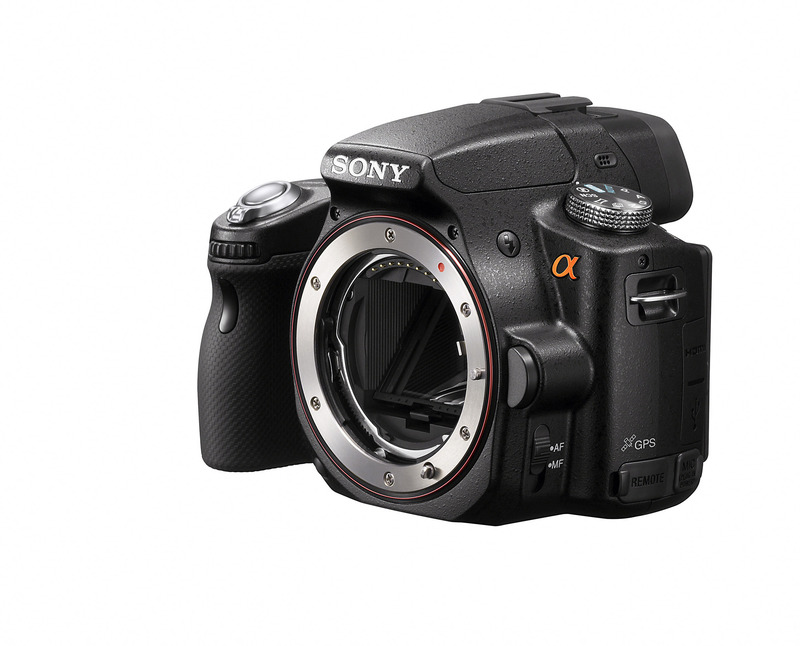 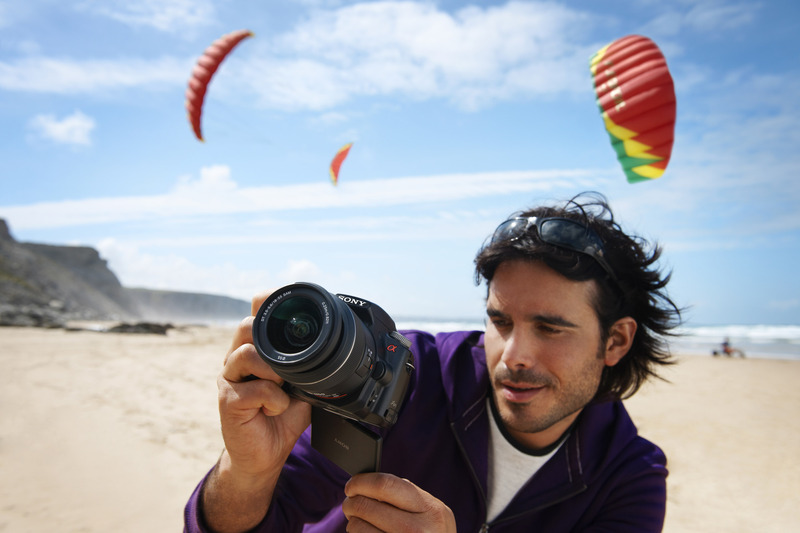 The α33 and α55 SLT mirror cameras are available from September 2010 for $650 and $750 respectively.